This trading week was definitely filled with challenges. The Fortizars around Jita were besieged, causing a fair amount of hesitation to commit large sums to buy orders. This plagued the PLEX and injector market very specifically, since a fair amount of sell orders are placed from these tax havens. The bearish nature of these markets made it incredibly frustrating to even place buy orders, since the spreads would not even yield me any profit. However, this did not seem to faze other traders, as they made buy orders right into these unprofitable margins. In order to counter this hopefully temporary localized bear market, I investigated the buy and sell orders in Amarr to find healthy price differences. Although Amarr only saw 1/3 of the daily volume of Jita when it comes to these items, that still is a viable play considering how few buy orders I actually place. It’s always nice to meet new trading partners. Along with placing orders for PLEX and injectors, I also took a gamble on pirate faction ships and +5 implants. The pirate faction ships yielded modest results, while I had no matched buy orders for the implants all week. With that, I went ahead and cancelled those orders to make room for more successful trade attempts. Coincidentally, some of the Fortizars that serve Amarr are also under attack. However, based on market history, this does not seem to have a noticeable negative effect on volume. This is something I must observe carefully to ensure that I don’t find myself holding on to stock that may suddenly be driven into unprofitable territory by fire sales. I’m quite certain that even after Jita stabilizes into a new sense of routine, I will continue to work trades out of Amarr. There are definitely some items that I will try that have worked well for me in Jita. 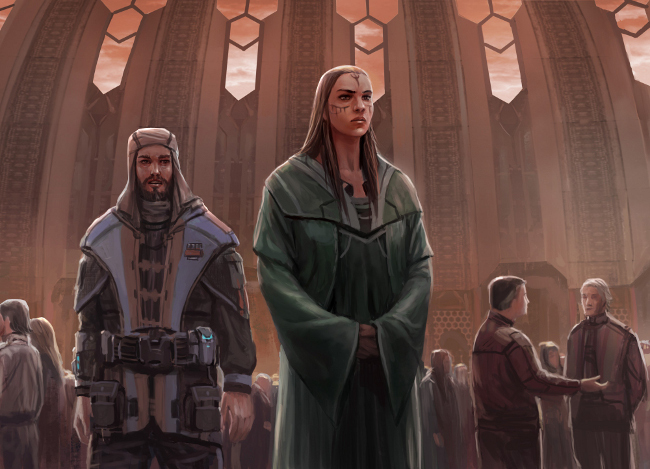 I intend to look into the possibility of trading faction modules, especially those based on Amarr loyalty points. From my experience, Amarr-based loyalty point items see very little action in Jita. It would only make sense that these items will be popularly sold in Amarr, but only time will tell regarding how profitable this assumption may be. This week’s leader-board results were definitely surprising. Without the shift in orders to Amarr, I doubt we would have been able to make the promised weekly pay outs. Fortunately, it does not take much added effort to maintain orders from both market hubs. This will provide added safety against local market volatility, and offer potential export opportunities. Due to surpassing the promised 5% weekly pay out, the new adjusted pay out for this week will be 10%. Fortunately, we have consistently been making more than 5% per week. After some consideration, I asked the group to see about letting my alliance mates join the investor group. So far I have not been made aware of any misgivings about this. At the time of writing, I have two inquiries from alliance mates about our trading operation. They have been briefed on the workings of the investment group, and are keen on making a contribution. For the sake of transparency, Roedyn is a member of Dark-Rising, a member corporation of Wrecking Machine. alliance. Wrecking Machine. is a new alliance founded at the dawn of the Citadel age. We are an efficient group dedicated to citadel game play: installation , management, and forceful removal. Just as a quick recruitment plug, we are currently looking for all types of players and are looking to expand across all time zones. I am looking forward to working with my alliance mates in helping players spend less time grinding isk, and more time engaged in fleet and support work. I look forward to the new challenges this will bring and hope to gain experience in another type of group market play. Now let’s see how we did this trade week. The one surprising trade that made it to the top 10 has been the Omen Navy Issue. Historically, we haven’t done incredibly well with faction ships, but there was so much room for profit on the Navy Omen this week that I simply had to put money down on it. I’m curious to see if this was due to a meta change in the current conflicts in null. However, something tells me that this may also be a bulk purchase of opportunity, considering that Amarr loyalty points are relatively expensive at the moment. Although we had fewer sets of buy orders from Amarr, that did not stop the completed PLEX and injector trades making significant contributions to the overall profit for the week. We had more success flipping injectors than PLEX; the lower daily volume had much to do with this. Currently there is an Aurum sale that may affect the price of injectors in several weeks’ time. I am unfamiliar with what this may actually mean for the price of injectors, since I have not experienced a PLEX sale since actively trading in this item. Thanks for reading. Good luck and happy trading.